Building an infrastructure for Entrepreneurs, Community Managers & Organisations to easily integrate blockchain capabilities into their products and services. We have been researching scaling solutions and talking to prospective community currency issuers about their needs over the past few months. We decided that collaborating and building with the POA Network was the best option out of many, in this post we go into detail about the benefits of this development. We expect to release to main net in December 2018, an exciting future milestone for the community. This introduction and specification will concentrate on the consensus mechanism, bridge and other network parameters. We welcome your input and discussion on the development over at our Discourse once you have digested the approach! The token issuers in any given network will be trusted entities to begin with. A trusted consensus mechanism can yield higher throughput, and higher Transactions Per Second (TPS). With the growth of the network, we will be able to switch the proposed PoA mechanism to a different solution as long as you have consent of the network stakeholders. For this Consensus mechanism to work, we need to find suitable individuals or organisations, publicly KYC’d and identified, to be the validators. Validators cannot all be internal employees at the network. The validators will be rewarded for their participation as the network grows. Also, they should be willing to run a validator node that we will provide, if you are interested in becoming a validator, please email hello@cln.network. We will publish more information on validator’s and our plans for on-boarding them soon. As consensus mechanisms in Ethereum evolve, our eyes and R & D team are also keeping the future in mind. We envision participants in the network to have “skin in the game” so we are also exploring PoS (Proof of Stake) consensus mechanisms. We feel in this ever evolving space it is important to do small meaningful steps that improve the crypto-economic model of the network. We have researched and interacted with the current Plasma efforts for scaling, but our current approach utilising the POA network is more production ready. The native token of the network will be the CLN. Validators will receive CLN as a reward for maintaining the network Consensus. There will be no block rewards as the Native token is created on the Main Ethereum chain. CLN will also be used also to pay fees for transactions so a validator node does not only get access to the network, but also gets rewarded based on the transaction volumes. We want the Side Chain to be connected to the Main Ethereum network, and to enable participants to transfer tokens to and from the Sidechain. To do so, we need a Bridge between the two networks. This Bridge will also be a trusted PoA (for the same reasons we choose a trusted Consensus mechanism, later on we can switch it to other suitable scaling solutions that may improve the networks performance). We are working with The POA Network team to deploy their solution. We can deploy a Bridge to transfer Erc20 tokens from the Main Ethereum network to this Side Chain and vice a versa. The tokens transferred to the Side Chain will be locked in the Bridge contract, and will be unlocked when they will transferred back to the Main Network. 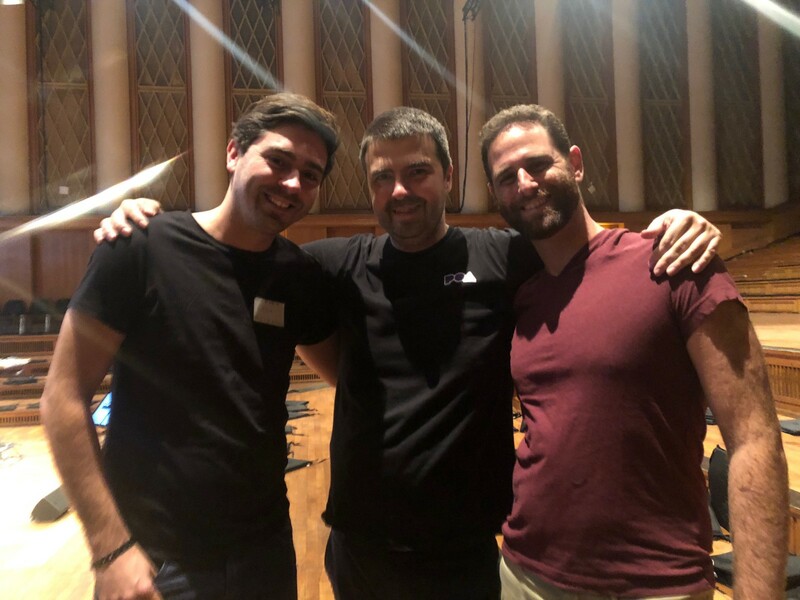 (from left to right) Me, Igor Barinov — Co-founder & Tech Lead at the POA Network and Yaron Klainer — Head of Product at the CLN, at the Web3 Summit in Berlin in late Oct ‘18. Zeronet is live, and main net and test net will launch during December. Developers- this is an RPC address where you can interact with Zeronet. We are excited to share this development with the community, our partners and our prospective community currency operators, of which we have had many discussions to ensure our development is on the right path. You can comment, discuss and add to the development efforts by heading over to our Discourse. If you are interested in operating a community currency, have a blockchain service you would like to add to the network, or would like to help out in the development of the network, you can email us hello@cln.network. Community Management @ the CLN Network. Empowering communities.